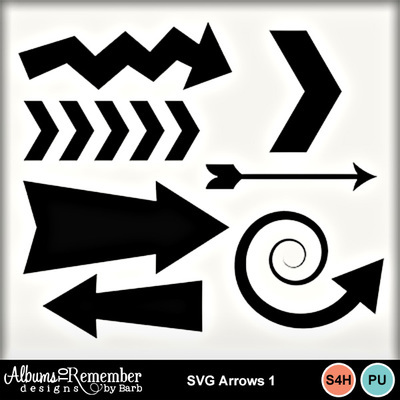 These are SVG arrows and will install directly into your My Memories Suite shapes button. You can make thin and thick arrows, chevron patterns, a swirly arrow and more! Make them big or small, clip paper and create all kinds of fun designs.